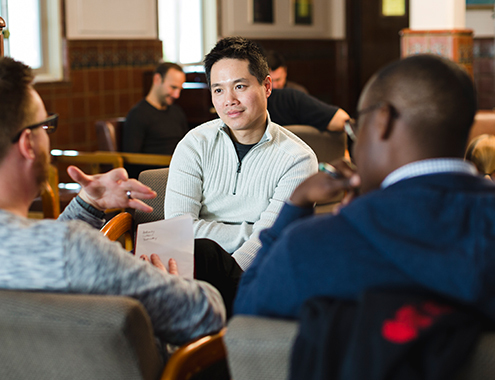 The Fuller Center for Spiritual and Missional Formation equips individuals with rich formation experiences designed to support them in their place of influence at every stage of life. Through our core program, Fuller Formation Groups, individuals enter a biblical community and engage in a year-long journey to establish rhythms of spiritual and missional practice that support a faithful, integrated life in Christ and rich vocational calling. We partner with churches, mission institutions, denominations, and schools to provide communal, accessible, and scalable spiritual formation to staff, key leaders, and church members through Fuller Formation Groups. We are not a one-size-fits-all program but a customizable spiritual community that prepares and sustains individuals for their callings. With a research-driven process and curriculum, we work hard to contextualize the groups and other spiritual formation experiences to address the unique needs, history, people, and strengths of each partner. Fuller Formation Groups provide an opportunity for individuals in the church, mission field, and various vocational fields to deepen their spiritual and leadership formation in community with others from different contexts. 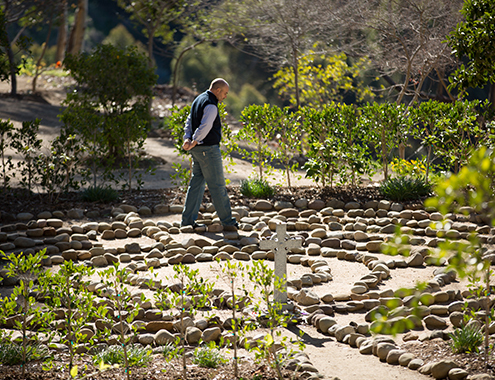 A year-long Formation Group is made up of 10 to 20 women and men who participate in quarterly retreats, monthly meetings, and weekly spiritual practices. "The Fuller Formation Group has been a safe place to ask questions and process my experience as a pastor and priest. It has given voice to my desire as a spiritual leader to be a whole person, fully formed and free to lead my parish in humble service to Jesus. Formed by a Communal Rule of Life, we've been given the opportunity to hear and be heard, encourage and be encouraged, flourish and see others flourish." "My Fuller Formation Group experience gave me wonderful insight on Scripture, prayer, and forgiveness, but most of all, it made me feel loved and cared for by a community that I couldn't help but love back. The concepts we wrestled with together will continue to impact my life in positive ways for many years." Provide your information below and we’ll get back to you shortly.